Seen at the office today. 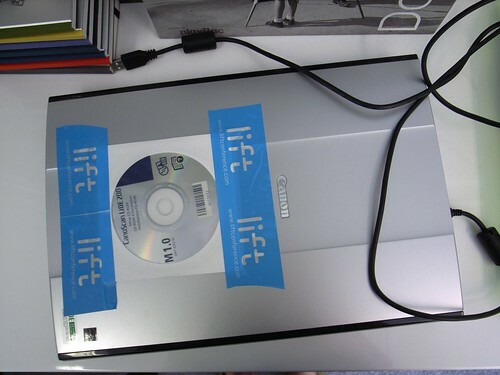 When the digital (in the form of a DVD that contains drivers and software) needs to be put close to the physical (this scanner) through the magical use of duct tape. DVD like this often gets lost although they're generally needed, a quick trick to avoid losing it is to keep it close to the physical items it is related to.